Welcome to the home of English swimming records on the competitive swimming hub. We maintain English swimming records for long course and short course swimming. Long course records are broken down for individual age groups based on ages on the day of the swim. Short course records are either senior or junior (15 years or younger on the day of the swim). You can also download forms to apply for a new English (or British) swimming record. Click here to download all English swimming records documents. 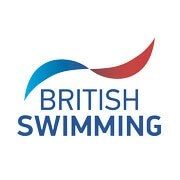 Click here to head to the British Swimming website for British swimming records. English para-swimming records have been kept since September 2016. There are long course and short course records for both women and men. These records are all for an open age group. You can download the latest records below or find out how you can apply for a record. For British para-swimming records, head to the British Swimming website.